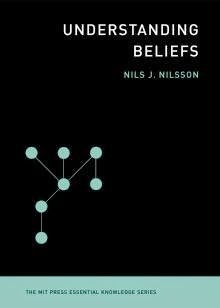 In this post, Nils J. Nilsson presents his new book, Understanding Beliefs (MIT Press). Nilsson is Kumagai Professor of Engineering, Emeritus, in the Department of Computer Science at Stanford University. He is the author of The Quest for Artificial Intelligence: A History of Ideas and Achievements. Our beliefs constitute a large part of our knowledge of the world. We have beliefs about objects, about culture, about the past, and about the future. We have beliefs about other people, and we believe that they have beliefs as well. We use beliefs to predict, to explain, to create, to console, to entertain. Some of our beliefs we call theories, and we are extraordinarily creative at constructing them. Theories of quantum mechanics, evolution, and relativity are examples. But so are theories about astrology, alien abduction, guardian angels, and reincarnation. All are products (with varying degrees of credibility) of fertile minds trying to find explanations for observed phenomena. In this book, I examine beliefs: what they do for us, how we come to hold them, and how to evaluate them. We should evaluate our beliefs carefully because they influence so many of our actions and decisions. Some of our beliefs are more strongly held than others, but all should be considered tentative and changeable. I show that beliefs can be quantified by probability, and I describe networks of beliefs in which the probabilities of some beliefs affect the probabilities of others. I argue that we can evaluate our beliefs by adapting some of the practices of the scientific method and by consulting expert opinion. And I warn about "belief traps" -- holding onto beliefs that wouldn't survive critical evaluation. The best way to escape belief traps is to expose our beliefs to the reasoned criticism of others. We are quite susceptible to being trapped by old beliefs, ones that we have held for a long time. Their longevity seems to confer permanence. We inherit beliefs from our parents, and we adopt some of the beliefs of our social set. These can include political beliefs, religious beliefs, and prejudices about people of other races or religions. If it doesn’t occur to us to question such beliefs, we become trapped by them. But the trap can be sprung by asking: Do I really want to believe that? What’s the evidence? Even newly acquired beliefs can trap us, especially those that fulfill fervent desires. For example, we are all bombarded with health messages over the internet: foods to eat to cure hypertension, herbs to take to cure heart disease, and so on. If we happen to have hypertension or heart disease, we have a strong desire to believe the recommendations of such messages. But without rigorous evaluation, we can get stuck in belief traps. Of course, new drugs and new diets show up all the time. Some might even be valid, but it’s important to ask: Where are the controlled clinical studies? You talk of 'holding onto' beliefs as though acquiring and losing beliefs is a conscious and wholly rational process. I'm not at all sure that's so. Whether or not we believe is partly emotional and partly unconscious, don't you think? Even though most of my book (especially Chapter 4) is about how we can consciously and rationally evaluate, and possibly change, our beliefs, I agree with you about the role of emotions and unconscious processes in sustaining beliefs. The book does support what you are saying, but perhaps not strongly enough. In Chapter 2 (p. 18), I wrote “Some beliefs just make us feel good, and that’s one reason people hold them.” “Feeling good” is largely emotional and unconscious. And in Chapter 4 (p. 37), I wrote “. . . some judge a belief on whether or not it ‘feels right.’ The sense of feeling right might be caused by certain brain processes, which while perhaps unconscious, might nevertheless be taking account of many other related and strongly held beliefs. These processes are probably the basis of what we call ‘intuition.’” Later, on that page, I stress that changing a belief “ . . . often takes an act of conscious will.” Without a conscious decision to change a belief, that belief is, presumably, sustained largely by unconscious processes. So emotions do play an important role. Thanks for your post!